Swim Shack, Inc. provides top quality sand filters for in-ground swimming pools. This method of filtering uses sand to extract impurities from your pool water. Sand attracts and collects debris as small as 20 to 40 microns. As Totally Hayward™ Partners Swim Shack Inc. will properly size and install your new swimming pool filter. 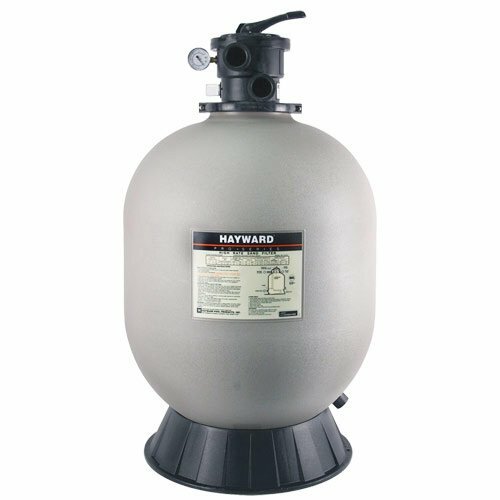 Hayward Top-Mount filters are made of durable corrosion resistant materials. Sand filters must be backwashed, that is running the filter with a reverse flow, to unload the waste. Call Swim Shack to find out more on filtering your in-ground swimming pool water. Call (630) 466-4853. You'll see our swimming pool service trucks in neighborhoods like yours this summer through out the Fox River Valley in communities like St. Charles, Geneva, Batavia, Oswego, Naperville, Yorkville, Plainfield, Plano, North Aurora, Illinois and beyond. Call Swim Shack at (630) 466-4853.